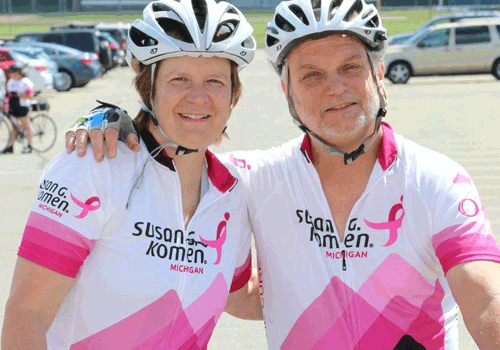 LANSING, MI – Susan G. Komen® Michigan is pleased to announce that this year’s Mid-Michigan Ride for the Cure®, presented by Lake Trust Credit Union, will be held on Saturday, July 16th in Brighton, MI. 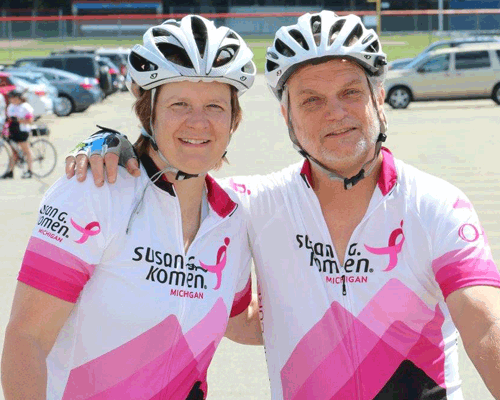 The Ride for the Cure is so much more than just a cycling event; it’s an event with a mission and a promise to eliminate breast cancer as a life-threatening disease. After two years in Mason, this year’s Ride will be held at Brighton High School in Brighton, MI. Routes at this year’s event will feature portions of the original Ride for the Cure routes that debuted in Ann Arbor in 2010. The 2016 event will also include a shorter route distance (15 miles) so that cyclists of all experience levels have the opportunity to participate. 75% of the net proceeds from the event stay in the Affiliate’s Mid-Michigan community to support life-saving local breast health programs like Allegiance Women’s Health Center, Cancer Support Community of Greater Ann Arbor, Grass Lake Sanctuary, Michigan State University College of Nursing and the YMCA of Metropolitan Lansing. The remaining 25% is invested in ground-breaking, global breast cancer research. For more information or to register today, visit: www.KomenMichigan.org/MMRide16. To learn more about Komen Michigan funded breast health programs in Mid-Michigan, visit: www.KomenMichigan.org/grants.